What is Wave Corneal Molding? The retainer contact lenses are worn at night while sleeping. They are removed upon awakening to provide clear vision without using eyeglasses or contact lenses! The retainers are comfortable and very easy to care for. What are the advantages of doing Wave Corneal Molding? Our program of Wave Corneal Molding allows you to be free from contact lenses and eyeglasses during waking hours. This is ideal for sports enthusiasts, and those patients who work in dusty, dry, or dirty environments. It is also ideal for those contact lens patients who have been unable to wear their contacts because of dryness or redness. Wave Corneal Molding allows you to perform your daily activities without the hassle of cleaning your eyeglasses, lubricating your contact lenses or carrying around eyeglass cases and/or contact lens supplies during the day. There may be an added benefit in the increased ability to prevent or slow progressive nearsightedness. Why not just have laser refractive surgery (LASIK or PRK)? Wave Corneal Molding is ideal for patients of all ages, including children. Laser surgery is only performed after the age of 18. There is no post-operative pain with Wave Corneal Molding and therefore no need for post-operative medications like steroids or antibiotics. It is easy to modify your contact lenses should there be an increase in nearsightedness after beginning Wave Corneal Molding. Laser surgery would require a surgical re-correction. Wave Corneal Molding is about 1/3 the cost of Laser refractive surgery. Wave Corneal Molding is reversible should you not be satisfied with the results. Laser surgery and the side effects from it are not reversible. Our program can be done even if your prescription has been increasing. Laser refractive surgery should only be done if your prescription has been stable for at least one year. Is everyone a good candidate for Wave Corneal Molding? No. The procedure works best on mild to moderate amounts of nearsightedness and/or astigmatism. More severe cases can have their vision improved, but will still need some vision compensation. The procedure also does not work well on certain shaped corneas, post-surgical corneas, corneas with dystrophies or where the corneal tissue is not as bendable. The speed at which the vision improvement will be seen can vary from person to person. There are no age barriers for Wave Corneal Molding. It is safe for both children and adults. In fact, it is an excellent alternative to eyeglasses for children who have just become nearsighted. In fact, many studies have shown that Orthokeratology may prevent increases in nearsightedness or may slow down any progressive changes. While success rates are high, success cannot be guaranteed. There are small percentages of people who show an inability to wear the contact lenses due to allergies, dryness or intolerance. Can any eye doctor that fits contact lenses fit Wave Corneal Molding or Orthokeratology lenses? No. Wave Corneal Molding and Accelerated Orthokeratology contact lenses requires a higher level of experience in the use and fitting of these rigid contact lenses. 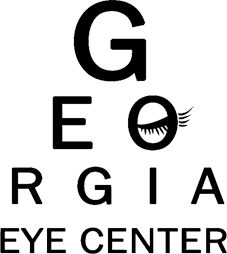 Dr. Jones is a Certified Wave Designer and is a member of the Orthokeratology Academy of America. Our office has used these lenses to fit patients of all ages for many years. We also have the necessary diagnostic equipment and computer software to be able to perform Accelerated Orthokeratology. What does the Wave Corneal Molding procedure involve? A comprehensive eye health and vision examination is performed first. Then, several measurements of the front of your eyes, including a corneal topography will be taken. The Keratron Scout corneal topographer is used to obtain a very precise computerized map of the curvature and shape of the cornea. The Wave computerized software program then uses this information to assist Dr. Jones in the design of your Wave corneal Molding contact lens. After a specialty contact lens laboratory manufactures the lenses designed by Dr. Jones, you will be asked to return to the office for the fitting of the retainers. At this time your vision and the fit of the lenses will be checked. You will be instructed on the insertion and removal of the retainers, the care and maintenance of the retainers and given instruction on wearing. Pediatric patients will need to have a parent responsible for assuring that the lenses are well cared for and inserted and removed properly. You will be sent home with wearing instructions after successfully being able to insert and remove the lenses. Generally this will involve wearing the lenses over night the first night. You will be checked the following day in our office. Should you experience any problems during the night with your retainers, we ask that you remove them. Most of the visual changes will occur rapidly over the first few days or weeks. We will need to see you in the office several times during this period. As the cornea gently changes shape and vision improves, we will monitor your progress and make adjustments in the fit of your retainers as needed. If you require the use of a temporary vision correction while your vision is changing, we will be happy to provide you with one day soft contact lenses to be worn during the day, or for various activities or tasks. You may also use older, weaker spectacles during this time. This is generally needed only for a few da ys. The majority of patients achieve excellent vision in a few days. Even after you are seeing well, we will need to see you to monitor the health of your eyes. Most patients are done with their office visits in two months. Retainer lenses should be inspected every 6 months and polished or replaced every year. Depending on various factors, some patients may only require the retainers every ot her night. Should you stop wearing your contact lens retainers, your vision will gradually return to its original level. Orthokeratology has been done in the past several decades with hard and then rigid gas permeable lenses. With the advent of corneal topography, more oxygen permeable contact lenses, and more sophisticated contact lens designs, Wave Corneal Molding became possible. This allowed more predictable, rapid changes and gave us the ability to fit these lenses for nighttime wear. My prescription has been changing. Is Wave Corneal Molding right for me? Wave Corneal Molding may be part of a series of recommendations that Dr. Jones makes regarding progressive nearsightedness. Many studies have shown that the use of Orthokeratology rigid gas permeable lenses has been shown to reduce the likelihood of progressive nearsightedness. Clear vision all day long, without glasses or contact lenses. Safe – unlike LASIK, there is no potential for vision loss from Ortho – K; as safe, or safer than regular contact lens wear. No age restriction – Can be used to correct myopia in children – as young as age 8. No weakening or thinning of corneal structure. No use of steroid or antibiotic drops required. Can be started while nearsightedness is still progressing. WCM is reversible; allows for new technology should it occur. WCM treatment can be started with the onset of myopia (nearsightedness) and may reduce the rate of increase and amount of myopia. WCM is not an invasive or surgical procedure; there is no risk of surgical complications, infections or inflammations. Provides effective vision correction in all environments: wet, dusty, smoky, dry, cold, underwater, etc. Please call our office at 770-939-8840 for more information on Wave Corneal Molding or to schedule a consultation with Dr. Jones .